Join LaMacchia Travel this November 23rd to see Once Upon a One More Time at the James M. Nederlander Theatre in Chicago! We have reserved early access tickets before they open to the public late summer of 2019. 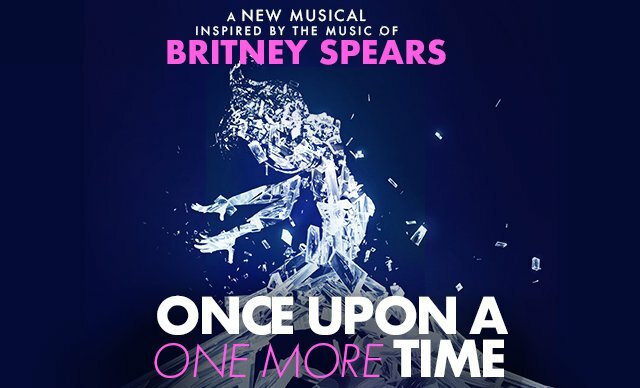 This is a limited engagement Broadway preview of the Britney Spears inspired musical "Once Upon a One More Time". Our private motor coach will leave our office in Kenosha at 3:00pm on November 23rd, 2019. We will arrive in Downtown Chicago by 5:00pm, giving you time to enjoy a nice dinner before the 8:00pm show. The total price for ticket and private transportation is $160 per person. Tickets must be paid in full at time of reservation. Call our office at 262-656-8300 to reserve your spot! Once Upon A Time… a group of famous fairy tale princesses gather for their fortnightly book club, to read together from – well, the only book they’ve ever known – Grimm’s Fairy Tales. When Cinderella makes a desperate wish for a new story, a rogue fairy godmother drops The Feminine Mystique in her corseted lap. Oh baby, baby… could there really be more to life than bridesmaid dresses, friendships with woodland creatures, and dreams of a prince’s kiss? The ultimate end-all fairytale for anyone who yearns to feel “Stronger” than yesterday, ONCE UPON A ONE MORE TIME is set to the universal chart-topping anthems of the Princess of Pop herself, Britney Spears. Hits from “Oops I Did It Again” and “Lucky” to “Circus” and “Toxic” ignite this uproarious and heartwarming adventure about letting your hair down, gaining your sea legs, smashing the glass slipper, and claiming your own kingdom.